Did you know that a healthy diet can help you keep fit and be healthy. But did you know that proper nutrition can help you keep your beauty? Eating certain foods regularly, you can have a healthy skin, shiny hair and strong nails. Chaotic diet, “skipping” meals, eating harmful food – all they see on your face and your hair. How beauty is influenced by diet? It is true that water does wonders for your skin. And it is true that we have to drink plenty of water for your skin to be healthy. How is this possible? Water stimulates removal of toxins from the body, helping your kidneys to function better. 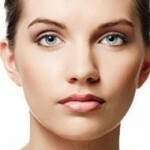 Excessive accumulation of toxins in the body is observed even in the skin, causing pimples, blackheads or whiteheads. Besides the imperfections caused by high levels of toxins in the body, the skin suffers if you do not consume enough water, dehydration is one enemy. Because it is rich in omega-3 fatty acid, selenium and vitamin D, including salmon in the diet has beneficial effects on skin and hair. 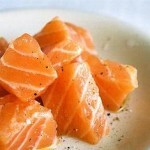 Eat several servings of salmon per week, every day about 25 grams of salmon. Although salmon contains the highest concentration of omega-3 acid and vitamin D is recommended to include in your diet around 300 grams of various types of fish and seafood every week. Although an oil is not used often in our country, thus more difficult to obtain, linseed oil has a high concentration of omega-3 acid. In addition to essential fatty acids, flax oil contains vitamins of the B, potassium, lecithin, magnesium, zinc and protein. All these contribute to maintaining healthy body, thus contributing to the maintenance and beauty of your skin, hair and nails. Both the berries, and melons, fruits are low in sugar that makes your skin firm and reduce premature wrinkles. It is important to reduce foods high in sugar and sugar-rich fruits such as bananas and pineapples. They contribute to increased blood sugar levels, causing the release of insulin in the body, which can trigger certain hormonal reactions. Such hormonal reactions can make your body retain water, causing inflammation and eventually to the appearance of eye bags. Both foods are rich in biotin, an essential nutrient nail and hair health.